I’ll start this with a question: how many times have you discarded a laptop battery as being dead? Me, personally, I haven’t trashed any of them, but rather kept the “bad” ones in storage for as long as I can remember, knowing they’ll be useful one day. IBM researchers in India have presented a study in San Jose, CA, which concluded that 70% of all those lithium-ion batteries that are usually discarded could be donated to poor people around the world. In fact, those bad batteries are so good they can power an LED light for at least 4 hours a day, for another year or so. Coupled with solar panels, these can be a cheap and efficient source of light, replacing petroleum lamps in so many underdeveloped countries. 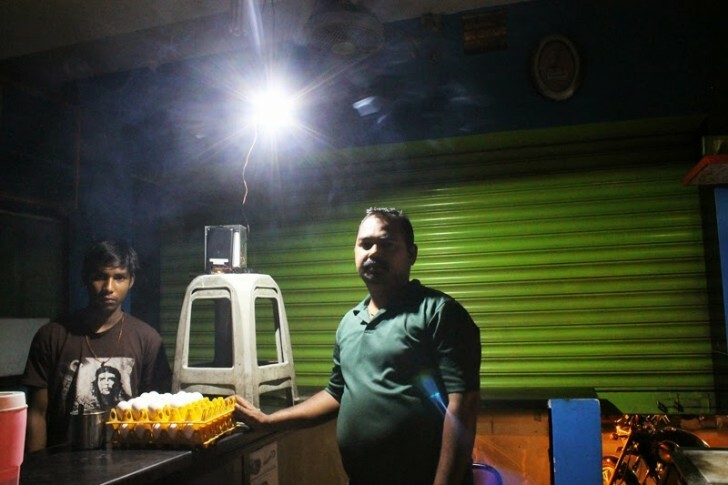 Only in India, about 400 million people lack grid-powered lighting. The IBM researchers worked with a company called RadioStudio to refurbish laptop batteries, added safety circuitry and gave them to five poor people in Bangalore. After three months, the users declared themselves satisfied, but asked for a particular feature that not even IBM had thought of: rat-resistant wires.